Set against the backdrop of the majestic Rocky Mountains, few places in the world rival the beauty and serenity found in Vail, Colorado. Along with being one of the largest ski resorts in the country, Vail boasts world renown amenities, dining and year round adventure. The resort’s attention to detail ensures a truly luxurious experience for those with discerning taste. Vail and neighboring Beaver Creek Resort also offer incredible hiking, snowshoeing, golf and outdoor recreation all year round. Avid skiers delight in the consistency of frequent winter snow falls that create fresh powder and prime ski conditions. Best known for its 5,500 acres of slopes that include 31 lifts and 193 runs, Vail delivers an unsurpassed skiing experience. Located just a few minutes away from Vail, Beaver Creek offers an additional 1,815 acres of mountain terrain within the White River National Forest. Lift tickets are valid at both resorts, providing visitors with easy access to both slopes. Vail offers a variety of winter mountain activities and adventures beyond skiing, such as snowmobile rentals, snow tubing, and ski biking for intermediate and advanced level skiers exclusive to Vail. Terrain parks provide added challenges for snowboarders. Ice skating and snowshoeing are available for those who prefer a less intense pace. A visit in the Springtime brings milder temperatures and an opportunity to enjoy scenic landscape. Mountain trails provide an array of activities from hiking and cycling to horseback riding. Unwind with a day spent on a guided fly-fishing trip in the Eagle or Colorado River. Perhaps the intensity of white water rafting sounds more alluring. In that case, plan a visit during the summer for an experience unlike any other. White water rafting is for those with a true spirit of adventure, and not suggested for the faint of heart. The Colorado River, Eagle River and Arkansas River provide an epic day of extreme rafting and are a short distance from Vail. Rafting with an experienced guide is paramount and Lakota Guides offer white water rafting trips for every level of experience with packages to suit all time frames. 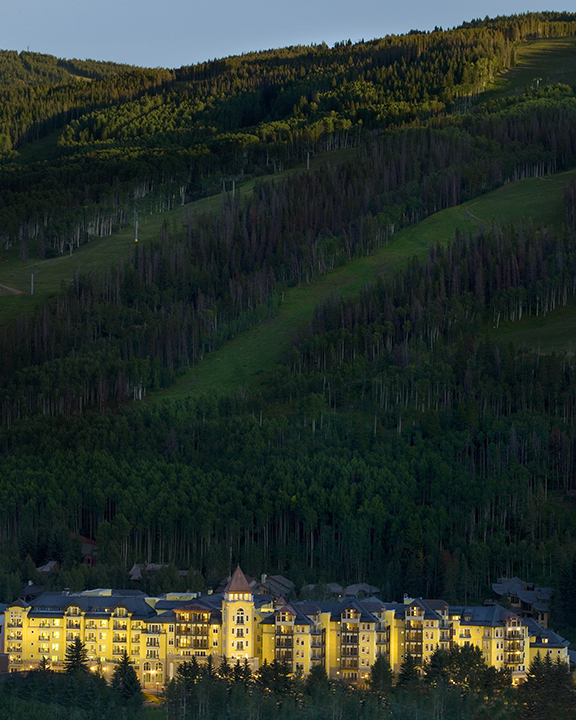 Of course, autumn in Vail is absolutely breathtaking. Enjoying the beauty of the changing seasons provides an unforgettable backdrop to take in a round of golf at Vail and Beaver Creek’s golf courses. With several courses designed by Arnold Palmer and Tom Fazio, a visit to Vail is a necessity for avid golfers. 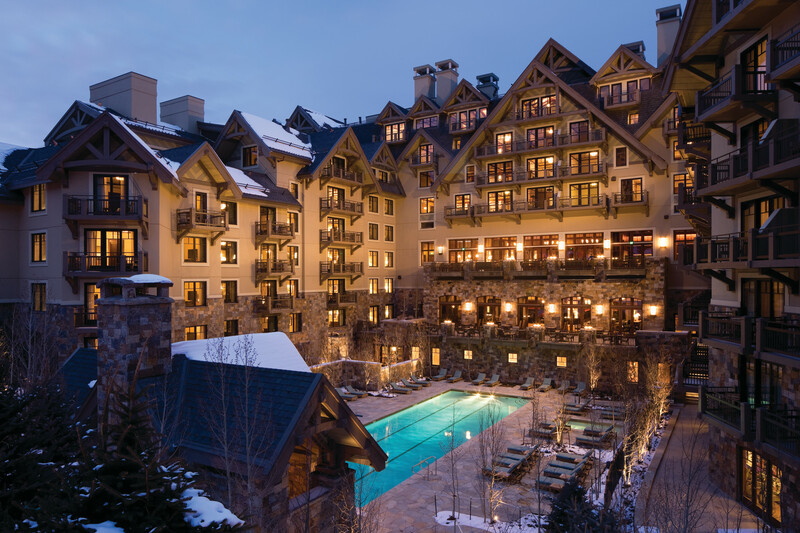 After long adventure filed days, luxury and high-end comfort available at one of several five-star hotels in Vail and Beaver Creek. The Ritz-Carlton, Bachelor Gulch at Beaver Creek delivers the exceptional quality and service we’ve come to expect when staying at a Ritz. As a bonus, the Ritz welcomes dogs for those traveling with their pup. The ski in-ski out privileges make accessing the slopes a breeze. For those preferring accommodations with kitchens and additional living space, the luxury condos at the Residences at the Ritz-Carlton are often available for rent. 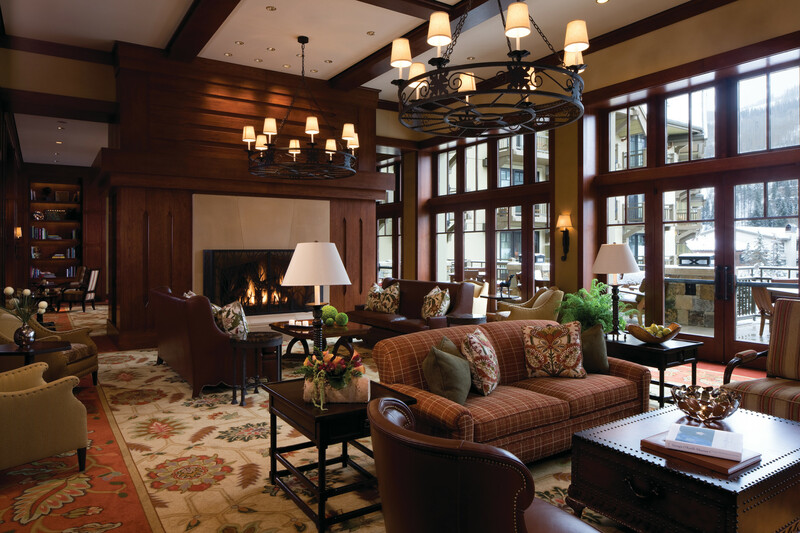 The Four Seasons at Vail is another five star premier property with ski-in ski-out privileges located at the base of Vail Mountain. With European inspired decor, welcoming suites and a full-service spa, forgoing a day on the slopes for a day indulging in a facial may be in order. Colorado boasts some of the most incredible beef, so add enjoying a filet to the itinerary. Beaver Creek Chophouse is located slope side at Beaver Creek with and wide selection of steak and seafood. The Filet Mignon and gourmet macaroni and cheese come highly recommended. For the true Colorado experience, make a trip to Beu Joes Pizza in Idaho Springs on the way into Vail. With deep dish style pizza and a rustic atmosphere celebrating Colorado’s storied past. Adding honey to their delicious thick crust is a signature staple of the restaurant and well worth a stop. 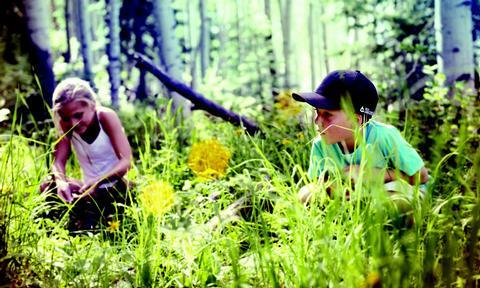 With breathtaking scenery and endless activities, Vail is simply an incredible place to visit. There is truly something for everyone in the family to enjoy. From high-intensity adventures on the slope, to leisurely evenings spent in front of the fire to horseback rides and white-water rafting trips, expectations are exceeded and unforgettable memories guaranteed regardless of the season. 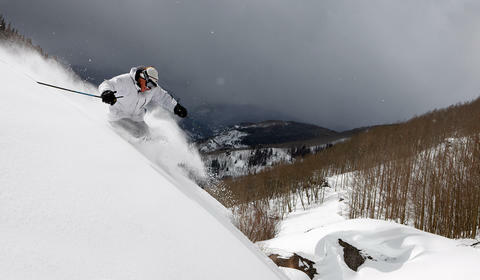 Images courtesy of Chris McLennon via Vail Resorts, Jeff Scroggins and Jack Affleck via Four Seasons Hotel-Vail. Lacey Reeves is a contributor for Luxe Beat Magazine. Lacey has a background in publishing and experience working with an e-magazine. Lacey graduated from North Carolina State University with a degree in nonprofit management. After working in Raleigh and Washington, DC, Lacey and her adorable dog Linus now call Charleston home—and hope to never leave! In her spare time she enjoys traveling and spending as much time as possible near the water. Her goal is to eventually travel to all seven continents.